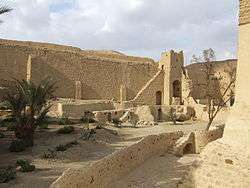 Coptic Monasticism is claimed to be the original form of Monasticism as Saint Pachomius the Cenobite, a Copt from Upper Egypt, established the first communal living in the Monastery of Saint Anthony in the Red Sea area. 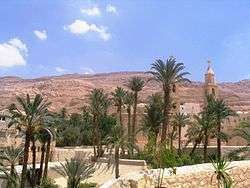 St. Anthony's Monastery (also known as the Monastery of Abba Antonious) is now the oldest monastery in the world. Institutional Christian monasticism seems to have begun in the deserts in AD 4th century Egypt as a kind of living martyrdom. Scholars such as Lester K. Little attribute the rise of monasticism at this time to the immense changes in the church that had been brought about by Constantine's acceptance of Christianity as the main Roman religion. This ended the position of Christians as a small group that believed itself to be the godly elite. In response a new more advanced form of dedication was developed to preserve a nucleus of the dedicated. The end of persecution also meant that martyrdom was no longer an option to prove one's piety. Instead the long-term "martyrdom" of the ascetic became common. Pachomius spent most of his time at his Pabau monastery. From his initial monastery, demand quickly grew and, by the time of his death in 345, one count estimates there were 3000 monasteries dotting Egypt from north to south. Within a generation after his death, this number grew to 7000 and then moved out of Egypt into Palestine and the Judea Desert, Syria, North Africa and eventually Western Europe. 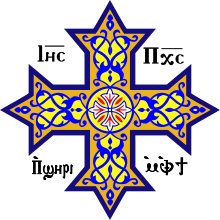 All Christian monasticism stems, either directly or indirectly, from the Egyptian example: Saint Basil the Great Archbishop of Caesaria of Cappadocia, founder and organizer of the monastic movement in Asia Minor, visited Egypt around 357 A.D. and his rule is followed by the Eastern Orthodox Churches; Saint Jerome who translated the Bible into Latin, came to Egypt, while en route to Jerusalem, around 400 A.D. and left details of his experiences in his letters; Benedict founded the Benedictine Order in the sixth century on the model of Saint Pachomius, but in a stricter form. Countless pilgrims have visited the "Desert Fathers" to emulate their spiritual, disciplined lives. 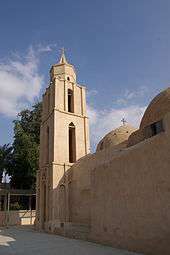 The Coptic Orthodox Church has many Monasteries and convents that host many Monks and Nuns. 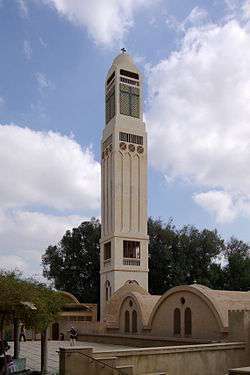 All of the Coptic Bishops are chosen from monks, although this was not necessary traditionally. 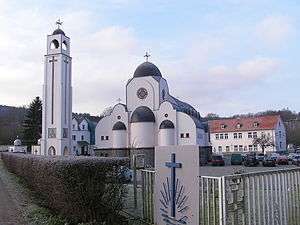 Coptic Monasticism saw a revival that started in the 1960s during the papacy of Pope Cyril VI of Alexandria, and currently there are Coptic Monasteries and Convents in Egypt, the United States, Australia and Europe that have been recognised by the Holy Synod of the Coptic Orthodox Church. There are currently 33 monasteries in Egypt and in the lands of the immigration with a total of more than 1,000 monks, and six convents with about 300 nuns. 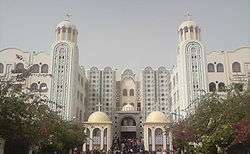 The largest monasteries, and most famous, are at Wadi Natrun, about 60 miles northwest of Cairo. They are the only four of the ancient fortified self-sufficient monasteries which have survived out of many that were in the Wadi Natroun valley. ↑ Religion: The Desert Revival. Published 19-04-1976, TIME Magazine. Accessed 09-02-10.